Allergan on Tuesday disclosed new safety results for an experimental eye drug, abicipar, but a modest improvement in a key inflammation rate failed to convince Wall Street analysts of the drug's commercial prospects. Results from a 28-week, single-arm safety study showed an 8.9% incidence rate of intraocular inflammation in 123 patients with an eye disease known as wet age-related macular degeneration, or AMD. About 1.6% of patients had severe cases, and there was one case of iritis and one case of uveitis. Previous late-stage studies of abicipar showed inflammation rates of about 15%, but even the improved rate is still higher than what multiple analysts considered competitive. Despite those lingering doubts, Allergan said it plans to file a Biologics License Application by the end of June. The upcoming May 1 shareholder meeting could be a consequential day for Allergan and its CEO Brent Saunders. This new safety data might spur fresh questions of whether the pharma's on the right path. Not long ago, abicipar was billed as one of Allergan's "six stars," which executives used to promote the company's pipeline in 2017. At the J.P. Morgan Healthcare Conference that year, Allergan pegged abicipar's peak sales at an estimated $1.5 billion to $3 billion across both AMD and diabetic macular edema indications. Clinical setbacks have dimmed Allergan's "six stars"
Quarterly earnings presentations help tell the story of the six stars. After dedicating a slide to the program's clinical progress from late 2016 through much of 2017, the company began touting pipeline progress "beyond" the six stars. By the second quarter of 2018, company presentations carried no reference to the six stars. Previous late-stage trials have shown abicipar to be non-inferior to Novartis' Lucentis (ranibizumab), but safety data from those studies had raised concerns on the high rates of intraocular inflammation associated with Allergan's drug. By contrast, patients in the Lucentis' arm experienced nearly no such cases. In response, Allergan modified the manufacturing process for abicipar, hoping to improve the drug's profile. Results from the study, called MAPLE, that Allergan read out Tuesday show a lower rate of intraocular inflammation by about six percentage points, but Wall Street analysts were skeptical that would be enough. "[A]s a later entrant to the market, we think the initial uptake for the product will likely be quite limited until the rates are lower," wrote Vamil Divan, an analyst at Credit Suisse, in a April 2 note to clients. Divan added that physicians have indicated to him that rates would need to be less than 5% to spur use of the product "in a meaningful way." That sentiment was echoed by others. Raymond James' Elliot Wilbur called the safety profile "somewhat lackluster," while Bernstein's Ronny Gal described the current formulation as "uncompetitive." Even so, Allergan remains confident, and indicated it would continue to "pursue manufacturing process improvements." 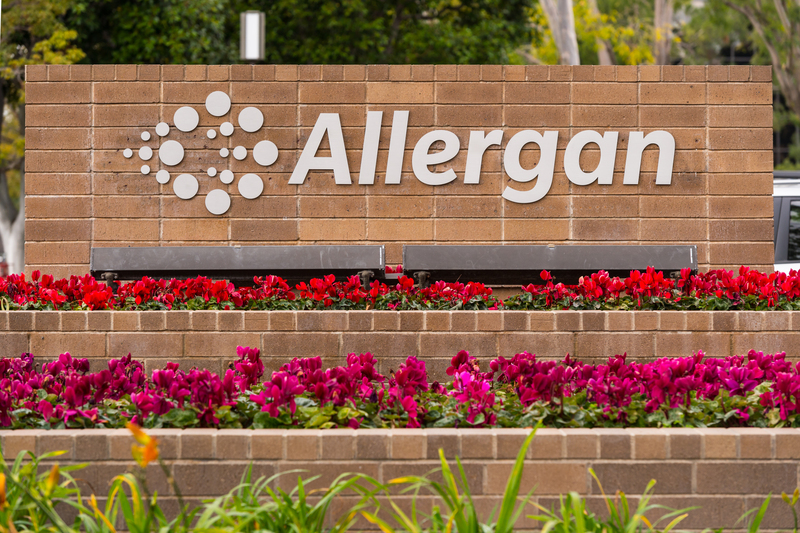 "The safety profile demonstrated in MAPLE gives us confidence to proceed and scale up manufacturing," said David Nicholson, Allergan's chief research and development officer, in a statement. One ophthalmologist reached by analysts at SVB Leerink indicated abicipar's dosing — once every 12 weeks — would be attractive as intraocular inflammation rates improve. In other times, questions on abicipar's competitiveness might generate less noise, particularly as the drug remains headed toward regulators. But Allergan's pipeline is under a microscope ahead of what could be a contentious shareholder meeting next month. Activist investor Appaloosa has ramped up the pressure to split the chairman and CEO positions, which are both currently held by Saunders. Appaloosa has criticized Allergan's pipeline acquisitions in particular, noting a pattern of impairment charges taken by the company on drugs once seen as promising. In response, Allergan said it will split the two roles at the next CEO change, but gave no indication of when that might occur.